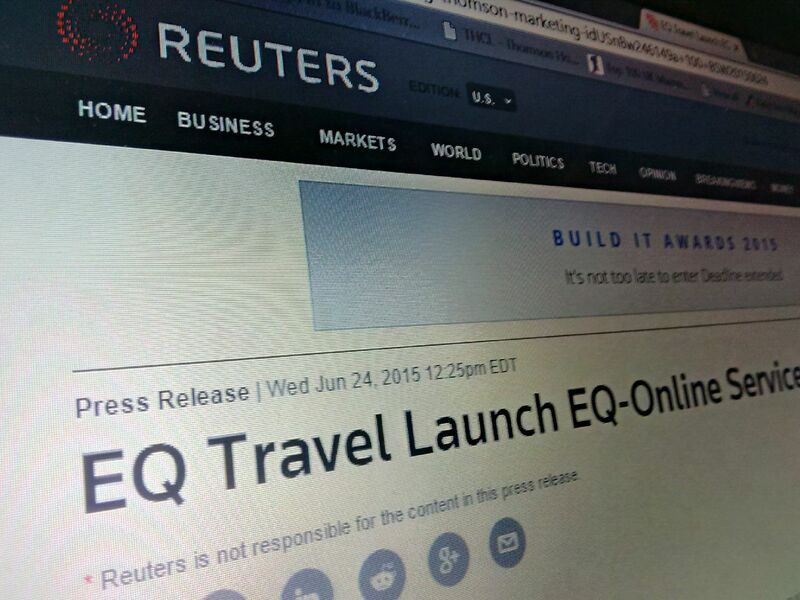 Scottish based EQ Travel Management has launched a bespoke travel service for SME’s called EQ Online. EQ Online means that users can book rail travel, flights, car hire and hotels via an online booking tool with a standard transaction fee per online booking. The service is perfect for business travellers who know where they want to go and when; travel bookers can use the on-line search facility for flight details which covers all airlines, including the low cost ones. Similarly if you know what hotel you want to stay in, our system can check the best rates for the time of your stay. Clients preferences, corporate rates (if applicable) and company locations can be loaded into the system. Jeffrey continues “Other benefits of using a travel management company include the benefit of insider knowledge. As part of our daily routine EQ Travel monitors global events and activity so we can respond quickly when major disruptions to travel occur. When flights are cancelled leaving travellers with lengthy delays or being stuck over night, EQ Travel can immediately rebook individuals onto later flights or recommend travelling by train if weather conditions are unpredictable. The key is because SME’s are using a travel management company they have systems in place, they can often do this before the travel issue become public knowledge, therefore finding solutions before the rush starts.” Formed in 2011 by Franc Jeffrey, one of the UK’s leading figures in travel management, EQ Travel Management was created to meet the rapidly changing needs of clients who became more focuses on maximising return on spend across all areas of their business, such as business travel during the recession. Over the past 4 years, EQ has gone from strength to strength with offices in Aberdeen, London, Boston and Sydney to meet the demand of their growing client base. EQ have been quick to gain a reputation in the market place for bringing transparency to corporate travel booking by charging a flat fee – meaning they can choose the best deals and options to meet client’s individual budgets and travel policy.